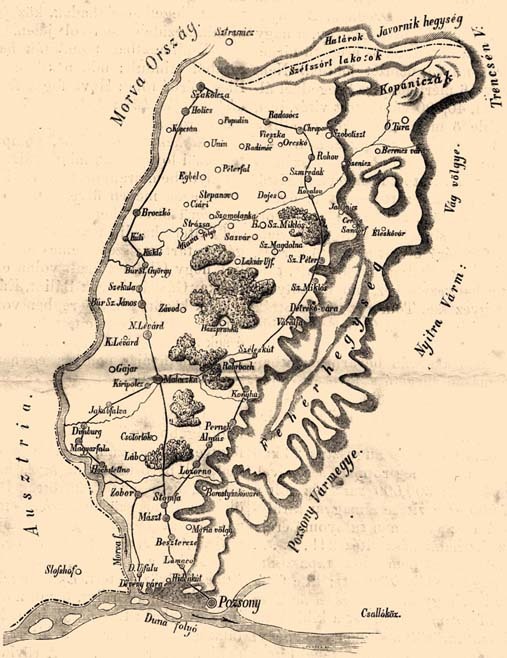 Skalica (Szakolcza) in 1854 Austro - Hungary map. Skalica Pre 1938 air view. 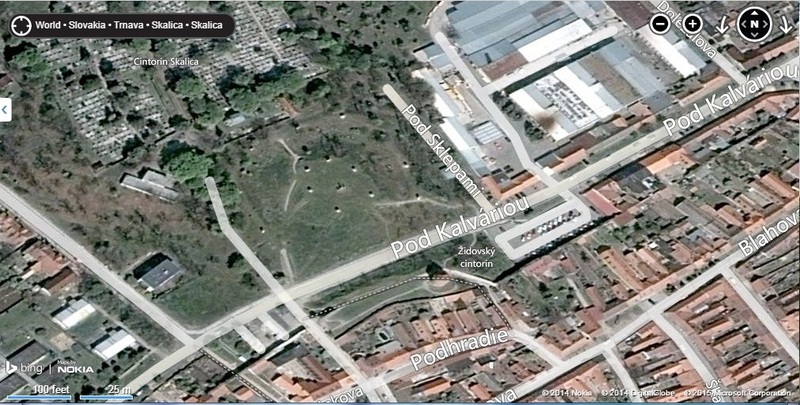 Airview of "Zidovsky cintorin" - Old Jewish Cemetery area is in "Pod Kalvariou" Street.